THE business community has commended the city council’s move to demolish illegal structures which had become a hindrance to the smooth flow of business. Harare and Chitungwiza Councils have been on a drive to remove unregistered businesses which had contributed to spiraling of prices as well as operating a parallel market to the registered businesses. Accessing shops had become difficult because of blockage by illegal structures with some in front of legal structures. 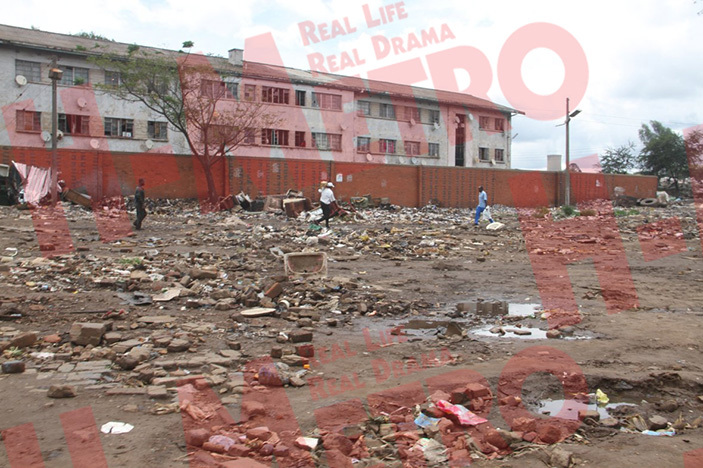 “The demolition of illegal structures has paved way for affordable workshop and vending spaces, and sustainable accommodation in a healthy and clean environment,” said one Mbare resident. In an interview with H-Metro, Steelmate Investments representative said that business had improved due to the City of Harare’s initiative. “Business is going very well. “What City of Harare did helped, because back then people were finding it difficult to get here. “Vendors were all over the place but now, there is no traffic and customers can bring their cars since there is enough parking space. “Inasmuch as I’m not happy with what happened, people should maintain order; people should go and apply to the council for proper working structures. “No investors will come if there is no order in the country,” he said. The company representative said Steelmate Investments was still there because their papers were in order. “It is business as usual and everything is going on well,” he added. Another business respondent said she is now able to freely market her goods. “Some of the illegal tuck shops were in front my shop and customers didn’t even know our shop until last week,” she said. Some of the shop owners said the move was long overdue and necessary so as to bring sanity to the city’s oldest suburb. Another shop owner popularly known Nyathi said business was going on well as there was nothing wrong with what the authorities were doing. “They didn’t say we are the dirt but the way that people have been carrying around their business is illegal and there was a lot of disorder and dirt which then lead to the outbreak of disease such as cholera. Small scale entrepreneur who sells steel Lenin Buwerimwe said they had hopes that their business would boom. “I think the problem is when people heard that Mbare was being demolished they didn’t know that it was affecting those who had settled here illegally. “So for now business is not as good as it ought to be, but we have hopes that everything will be back to normal as soon as they know that what happened didn’t not affect some of us,” said Buwerimwe. Buwerimwe said they supported the idea of relocating those who were settling illegally. “We support the initiative by those in authority, order is good and it was long overdue but we just hope that they relocate those people to designated places,” he said. One shop owner who spoke on condition of anonymity said he was in agreement with what council did. “Business is now better than before; the idea of removing tuckshops is good because we were competing with people who were not paying taxes which was unfair. “There are rich people who want to buy their stuff here but they couldn’t come because they tuckshop people had invade the park spaces. “The place was overcrowded and our customers were afraid of being robbed so removing those who had settled here illegally was a good move,” he said. One food seller Washington Munemo bemoaned saying that his business had declined. “I am happy that those in authority want us to work in good condition but as for me my business has declined. “Before the demolition I used to sell between 50-60 full chickens but now I’m selling less than 30 chicken so you can see that business is not so good for me but I have hope that this coming week everything will be back to normal,” said Munemo. 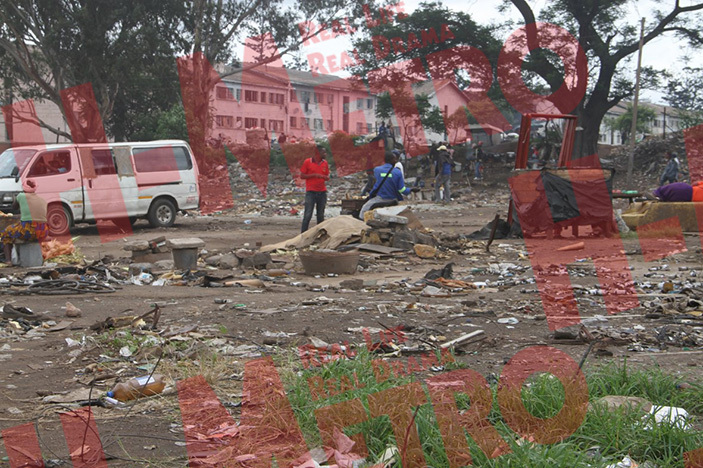 Last week Harare City Council demolished illegal structures in Mbare in a move aimed at bringing order and sanity to the city.